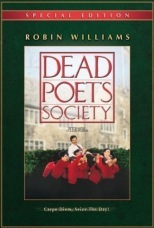 John Keating (Robin Williams) has one passion in life; teaching, and he’s darn good at it. His students think of him as strange and different but a teacher who inspires them to be daring and extraordinary, to “Seize the Day”. And only after tragedy hits their society of seven, will they each truly know the meaning of Carpe Diem.